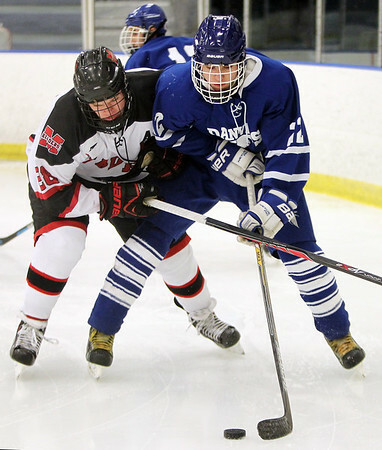 Danvers right winger Thomas Mento (22) controls the puck behind the Headers net while being hassled by Marblehead junior forward Owen Picariello, left, during the second period of play at the Rockett Arena at Salem State University on Saturday afternoon. DAVID LE/Staff photo. 1/17/15.